I cannot imagine a day without a salad. 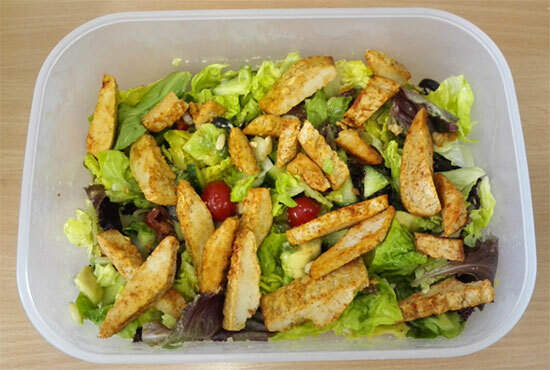 I love salads, they are my favourite thing to eat as a part of a healthy diet and if I don’t have one every day I get cravings! 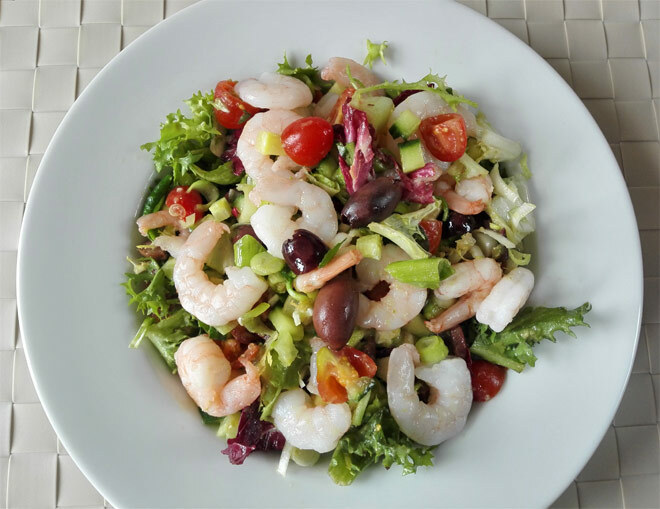 I came up with this simple prawn salad for my lunch at work when I wanted to have something light and low-carb. 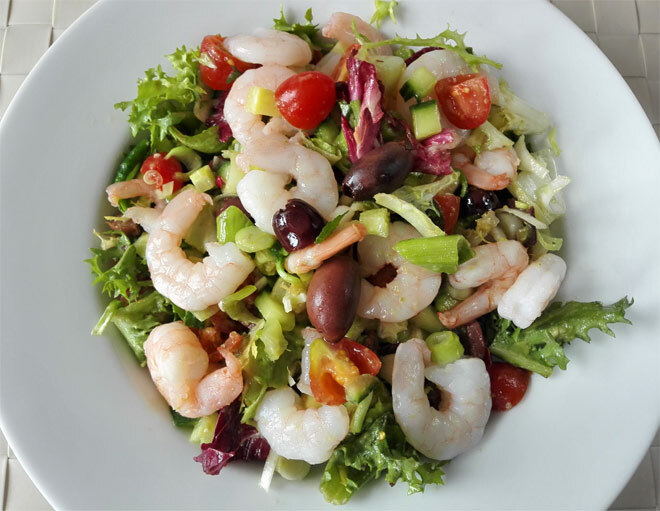 This healthy lunch is really easy to prepare but if you want to make it a little bit more substantial then you could simply add some wholewheat pasta and make it into prawn and pasta salad (with fewer green leaves). 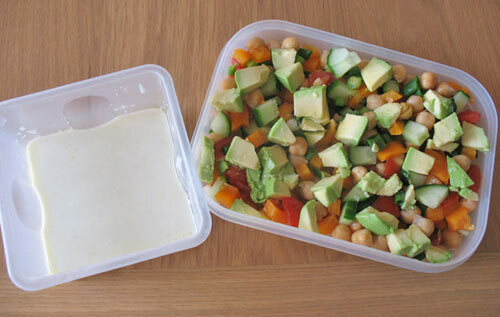 This healthy low-carb salad is great if you are watching your weight or when you want to reduce the amount of calories you eat each day. On its own it’s not very filling but it’s perfect when you want something light. Prepare all the vegetables and put them into a medium size bowl. Add olive oil and lemon juice and mix everything together. Put the salad onto a deep plate and add prawns on top. What do you think of this salad? Are you going to give it a try? 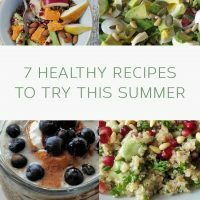 What is your favourite healthy salad?